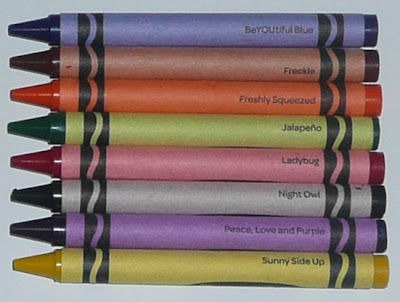 For those of you that collect the color names of Crayola crayons, there is good news. 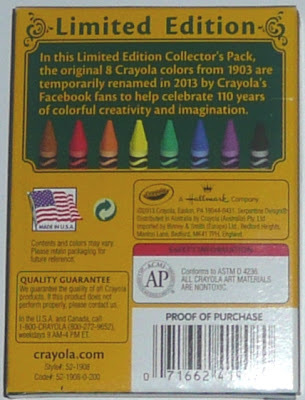 Crayola put out a special 8-color box with eight new color names in honor of their 110th anniversary of the crayon brand. That's a long time! There aren't many brands of anything around for that length of time. But it's been awhile waiting for Crayola to create some new color names. 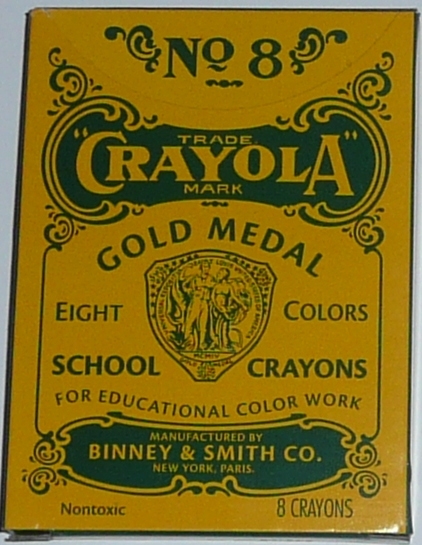 The last one was clear back in 2011 when they introduced Carbon Black in honor of Joseph Binney being inducted into the Inventor's Hall of Fame for his original crayon color, black. 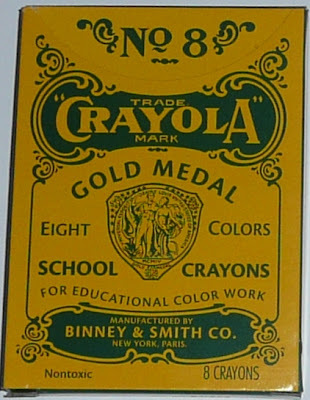 Of course, black was the definitive first color they introduced having been used on their industrial crayon, Staonal one year prior to them creating the Crayola brand in 1903. This time around, we don't have any new original colors formulated. These are renames of existing color formulas used on all their products. The last time we had a truly new color was the introduction of "One for Fun" back in 2010 (which was their 330th original color). In the case of these newly named colors, they were all selected from consumer suggestions and represent renaming their original 8 colors. Of course, I've already researched their true history to reveal that they actually had 38 colors to start with, not just 8. But that's a whole different discussion. These are known color names numbers 747 through 754 throughout their history. Slowly they inch their way to the magical 1000 different color names used for a crayon. The interesting thing about this promotion is that it all occurred on Facebook. Facebook fans of Crayola determined the suggestions for color names and this box only sold on Facebook and is in limited supply. It'll surely be a good collectible in the future if they didn't manufacture too many of them. Kudos to Crayola for keeping things interesting in the crayon and color collecting worlds! Ed: Sorry to be picky but in your article you spelled Jalapeno wrong. You spelled it Jalepeno. Just thought you might want to correct that before someone thought that your spellingof it was the official spelling. Cool, btw, I forgot to mention that this article is, as usual, very well written and interesting. "One for Fun"?? Did I miss that? Where was it, i.e., what box?? Love this article. Thanks, Ed. Donna - That was the No 64 that had "Fan Favorite" on the front of it and came out in 2010. You can find it on the last page of my History of Crayola Colors which has a link from my home page. All those pages should be ok for whatever browser.